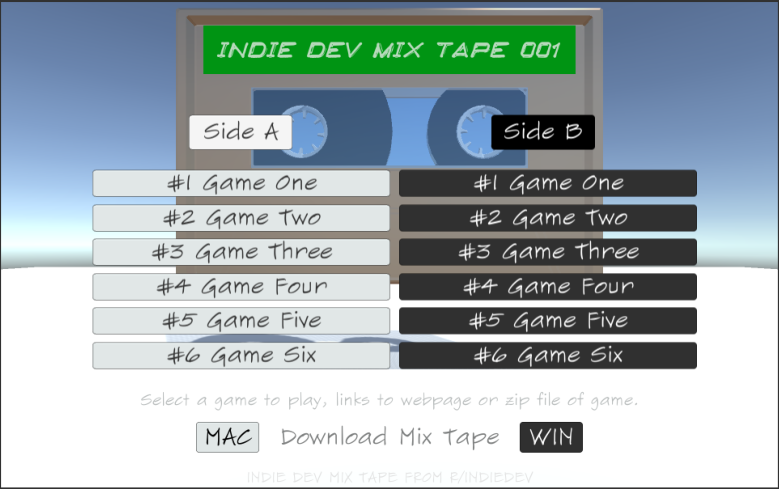 This is the Indie Dev Mix Tape 001. A collection of games made in a two week jam by the indie dev community at reddit/r/indiedevs. 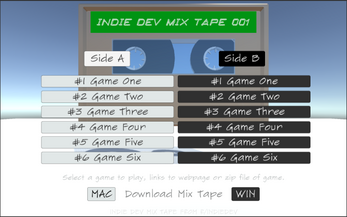 The links take you to the various games or to zipped collections of the games.